At the end of a perfect wildlife safari in Botswana, relax in the mediterrenean-style coastal resort of Cape Town, South Africa. The coastline of South Africa is enormous, offering superb scenery as well as amazing opportunities for viewing southern-right and humpback whales breaching off the coast, in season. 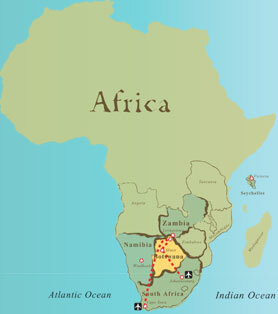 The Western Cape of South Africa is one of the most popular destinations in the world and one of South Africa's most beautiful regions. The Cape has one of the most diverse floral kingdoms in the world, white sandy beaches, unspoilt coastlines where Southern Right Whales come into the waters (between July and December to mate and calve), towering mountain ranges, and verdant valleys filled with orchards and vineyards. 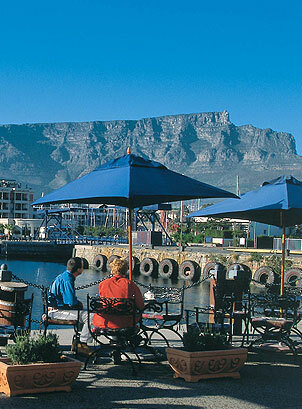 Cape Town is the most comspolitan city in Africa, offering a modern European flavor. 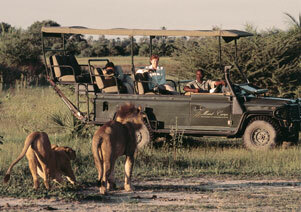 Cape Town offers a relaxing and ambient end to a thrilling safari experience in Botswana. A beach view hotel residence offers the comforts of home coupled with old-world luxury and sweeping views of the gorgeous Atlantic coastline. Start your safari in Johannesburg, fly out to the private reserves of Botswana and end in magical Cape Town, which offers daily return international flights to the USA and Europe.
" Botswana’s private reserves offer the very best safari experiences with massive tracts of pristine wilderness and privacy encountered in very few places in Africa these days. One can go out all day in some regions and not see another soul, besides the animals on the savannah. " Photos by Wilderness Safaris, Micheal Poliza and Ellerman.